Purchase your tickets for Nightmare on 33 Elm Street below. 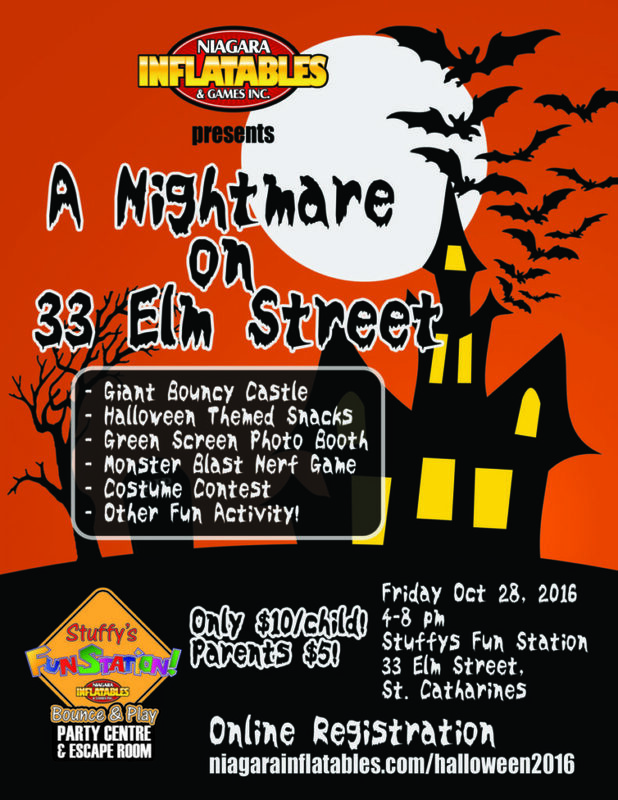 This Halloween event is recommended for children between the ages of 4 and 12. Dress in a comfortable and easy to remove costume for the costume contest. Elaborate costumes will have to be removed to enter the bouncy castle.